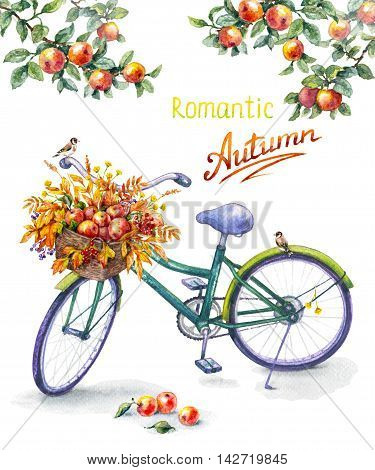 Hand drawn illustration of bicycle with basket ripe red apples. Watercolor sketch of green bike sitting goldfinches apple tree branches. Autumn background. Inscription Romantic Autumn.